This Friday 1 December, Restructuring & Insolvency Solicitor Veronica Chan will be donning a funny Christmas costume and sprinting all over Hong Kong, solving GPS-triggered challenges all in the name of charity. KPMG’s Run for a Claus is the game, and Veronica is one of its eager players. Veronica will be running in the IWIRC-ers team, comprised of members of the International Women’s Insolvency & Restructuring Confederation (IWIRC) board in Hong Kong. Other members of the team include Yvonne Chong and Rosalie Lui of KPMG, Eloise Fardon of Stephenson Harwood, Faye Griffiths of Hogan Lovells and Janice Ng of Linklaters. The IWIRC-ers team is one of 46 running around Hong Kong on Friday. To support Veronica and her team, please click here to make a donation. Enter ‘IWIRC-ers’ or ‘Team 41’ in the Team Name field and enter your e-mail address. A PayPal account is not necessary to make a donation. 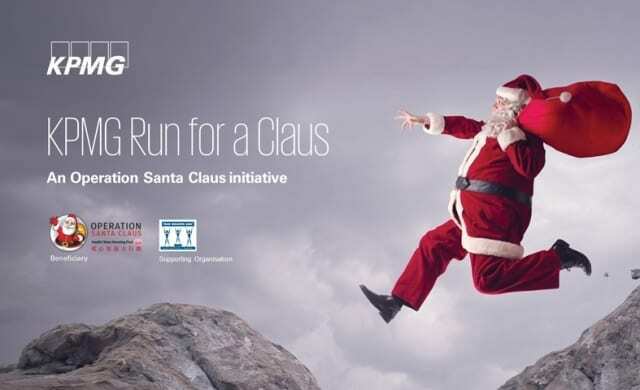 Run for a Claus is part of Operation Santa Claus, an annual initiative that has raised over HK$260 million in 29 years. This year’s beneficiaries comprise of 14 charities that benefit the young, the elderly, medical causes and the entire community. For a full list of beneficiaries, please click here. We wish Team IWIRC-ers the best of luck!